Citing “Love Jihad”, the Bajrang Dal and VHP have opposed “indecent” dances and parties where drinks or intoxicating substances are served on New Year’s eve in hotels, pubs and public places. “Love Jihad is already rampant in Dakshina Kannada district and young girls are being lured to attend such programmes,” the two outfits said. The police department should not permit hotels or pubs to conduct such “DJ (Disc Jockey) parties”. All the bars should be closed by 11 pm at night, they said in a petition submitted to city police commissioner T R Suresh on Wednesday. 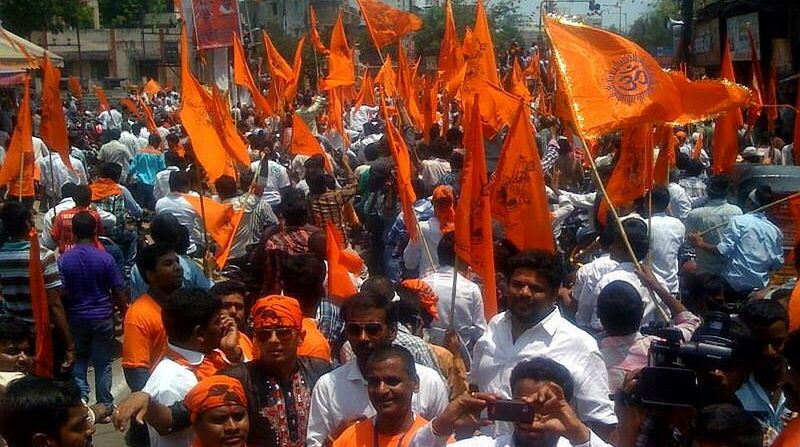 Local leaders from Bajrang Dal and Vishwa Hindu Parishad were present when the petition was submitted. ‘Love Jihad’ is a term used by sections of Hindu activists to describe marriages between Hindu women and Muslim men, who they claim seek to propagate Islam.